Tired of driving around Cape Town wasting both fuel and time looking for parking? A company that manages the city’s parking claims its app Parkfind is the first in Africa that allows you to search for, navigate to and pay for parking in real-time. “Parkfind is the s**t,” says Zunade Loghdey. He’s the founder of Street Parking Solutions (SPS) the Cape Town-based on-street parking solutions company that launched the parking app in July. “We are the first in Africa and one of two or three in the world with a full time search, navigation and payment application,” says Loghdey. The app, which available on Android and iOS, works with a network of infrared sensors installed under parking bays distributed around the city, these sensors make use of an algorithm that tests for false positives and then sends data along a virtual mesh network to the back-end server to show transaction timing. “Our sensors are independent and autonomous compared to those used by closest competitors who use cheap radio-frequency identification (RFID) tags wrapped in road proof plastic that you have to manually drive a tag over,” said Loghdey. The app also uses mobile automatic number plate recognition (ANPR) software on each of the hand-held units that the 300 Street Parking Solutions marshals in the CBD are equipped with in addition to body-worn cameras. This allows the company to record every parking transaction that shows the GPS location where someone parked, the colour of their car, how long they stayed for and their license plate number scan. So far the app has been downloaded 3000 times. Users can pay for parking with a credit or debit card. “This is a unique solution in that we have combined the best of parking technology to create the product and throughout the process have put people at the centre,” says Loghdey. Through the app Loghdey aims to change the parking landscape. “I realised that for any impetus to professional parking management and mobility, we needed to provide a conducive environment for an effective parking transaction,” said Loghdey. Parkfind leverages three trends: real-time demand, mobility and search. The app takes advantage of large mobile phone penetration, people’s “info-lust” and merges this with the capability of real-time search navigation and payment application. “Real-time demand and mobility are prevailing trends that made us think people search on Google, so why not help them search for parking?” he adds. Importantly as an app, Loghdey says Parkfind passes what he calls “the toothbrush test” — that is, it users will want to use it every day. While Street Parking Solutions has the contract with the City of Cape Town to manage the city’s parking solutions, Loghdey believes every city will want to adopt the system and he has plans to introduce it into the rest of Africa. 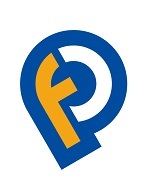 ParkFind is Africa’s first search, navigation and payment app for parking. At present the app can only be used in Cape Town, South Africa - but there are plans to introduce the app to further African cities.